Kindi Vilakku is a unique and elegant lamp that is noted for its exceptional design and exquisite beauty. Kindi is a kind of a pitcher usually found in old houses and shrines of Kerala. 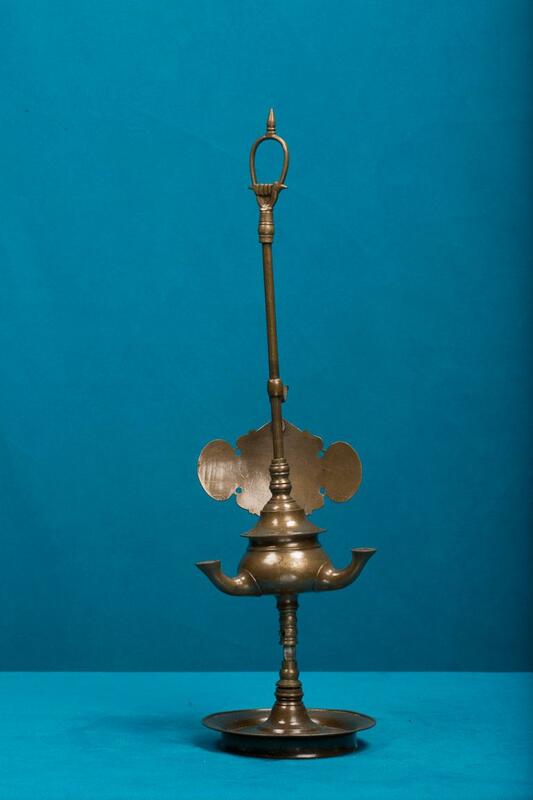 The Kindi Vilakku is in the shape of a Kindi with 3 tails for lighting/ three provisions for wicks. It has a wind shield and a round base.